Sorry your dad's not doing well At least you are able to help, I'm sure he appreciates it. They aren't going to the game until sometime in November. I'll let you know how they like it. The Catoctin Mountain Cruise we've gone on for the last few years is this Sunday. If you are interested, let me know and I'll give you the info. Not sure if we are going yet. I'm just going to shut up now. I don't know what's wrong with me today. I can't seem to do or say anything right today. Just one of those days I guess. This dude has 9 R's. 5 2000R's and 4 1995 R's. This guys a jumbo baller like Lee. It was posted in SVTPerformance but it was not the posters cars. The reason it came up is that the race cell bladder on these cars goes out at about 10 years. Some have made it 14 years on their 95Rs but many of teh 2000Rs are starting to have this problem. Without a new bladder from Fuel Safe (the only place to get them) the car is undriveable and dangerous. So basically every 10 years or so that guy is going to have to spend $2,100 per car (current price) to have those fuel cells changed. So $2,100 x 9 =$18,900 every 10 years or $1,890 a year. Or $157.50 each month just to own those 9 cars. Plus all the other rubber and materials that deteriorate. you know he doesn't care anyway! Hey Sean, why don't you and I go for a drive and see if we can take one or two off his hands! So what is on the horizon with school next year? anyone know what a DTC code of d262 or 5284 mean? can't find anything about them. this is on Mini me's car. via odometer. i dont think I could ever have a car and not drive it. Everything I own will be driven. 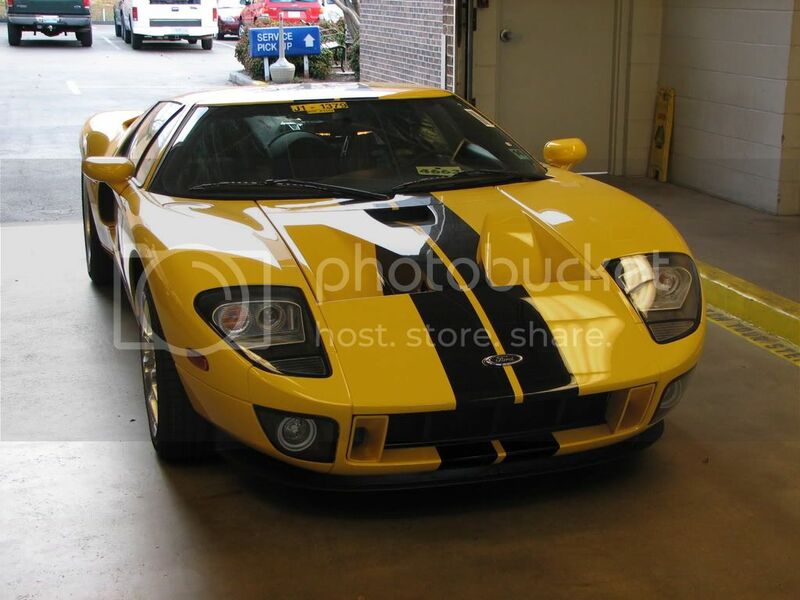 That being said, I dont wanna buy a Ford GT heritage with 10 miles on the clock, just because I'd have to drive it, when someone else could store it. how do you pull the codes off the odometer? I tried that one time and it didnt work. Sophia's over 84k now! That's just friggin hard to believe. I bought her 5/29 at 73120! She'll be pushing 100k soon enough. Hopefully by that time however I'll be able to afford a DD, and can do a termy swap, along with some other things I've got in mind that could give 7 a run for her money! Last edited by StangMahn; 10/18/10 at 09:32 PM. looking at a picture of the R gary posted, I wonder how my car would look spoilerless. I'm thinking of taking it off when I do a full detail, so I can detail it, and get to the trunk lid, 3rd brake light better. you guys see any issues that might make? Some neat stuff to read mostly with gauges and a digital tach and speedometer. What's up with your car? 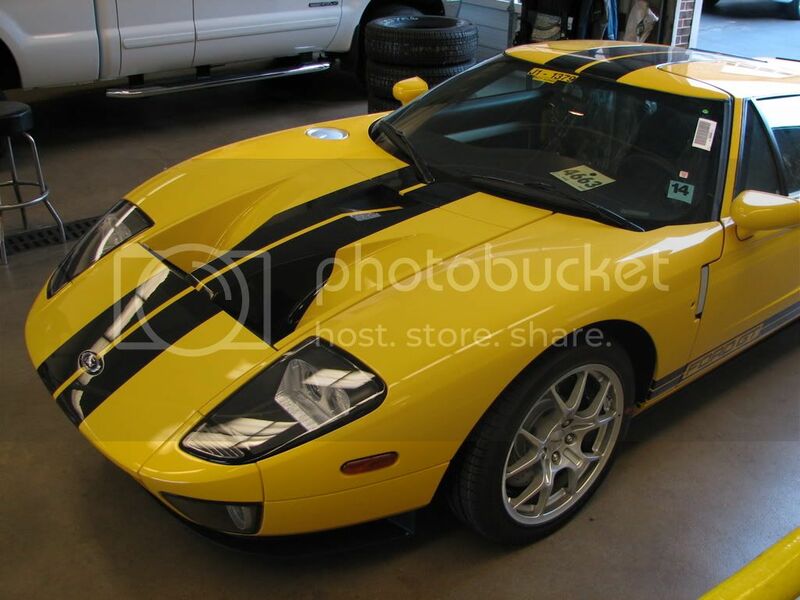 There's a guy in my area that has 23 Ford GTs. Holy double amounts of ****s thats a lot of GT's and money right there!! I wonder how big the garage is? Well since you're writing from God's country, that must be God then. One of each color, interior combo and stripe package?! He's really secretive and private. An acquaintance of mine did some work at his house and snapped a couple of cell phone pics in the garage and they were stacked 2 high on racks over top of each other in various color combos. The Mark Twain of our time. Until they won the NLDS against the Rays, this was the single greatest moment in Texas Rangers history. Nolan Ryan put a whoopin' on that boy. If you wanted to get your *** kicked Robin, just say so. Last edited by 2k7gtcs; 10/18/10 at 10:05 PM. Man, I knew Nolan Ryan was feisty, but I don't remember him putting a hurtin on Ventura like that. What year was that? It said 1993 in the video. I've met Nolan Ryan. He's got a grip like a vise. The man is a rancher and punches cows for a living after baseball. Well before becoming a partner in the Rangers. The main thing to remember is that you don't f*ck with Nolan Ryan. He is 100% Texan even at 46 he knew exactly what to do and he didn't back down one bit. I loved watching him play back when I actually cared about baseball. He would throw at a man if he had it coming. People feared getting in that batters box against him. Intimidation went along way. Unfortunately for Ventura, Ryan wasn't too old to still kick his ***.